Pigment issues arise as a result of many factors. Lifelong exposure to UV rays often brings out brown spots (also called age spots, liver spots, lentigos, and sun damage). Hormones during pregnancy can bring on a condition called excessive brown patches frequently seen on the forehead and cheeks (melasma). Vascular issues such as broken capillaries and rosacea give the face a reddened hue which can be difficult to camouflage with make-up. 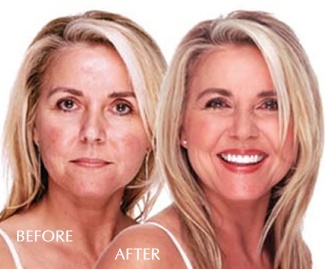 Lasers as well as light based treatments are very safe and effective at treating many pigment related skin issues. We use the Elite Laser System because of its superior results. The Elite laser treatment works by directing a beam of light that gently penetrates the skin to destroy the underlying pigments. This safely and effectively removes the pigment lesion without harming the surrounding skin. The result: A clearer complexion. Typically, 1-2 treatments scheduled at 3-4 week intervals are necessary for optimum results.